Featuring a mix of wood grain and aged metal texture, this adjustable bar stool will add modern industrial details to your home. Pair this bar stool with the coordinating console table and place behind your sofa for a great seat to watch the game. 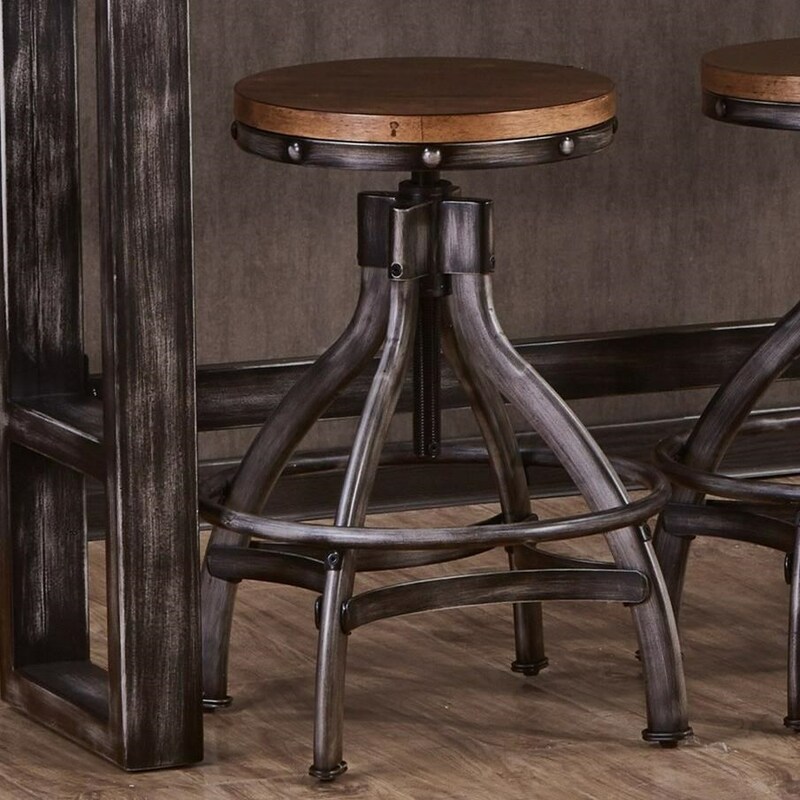 The Chandler Industrial Bar Stool with Adjustable Height by Simmons Upholstery at Royal Furniture in the Memphis, Nashville, Jackson, Birmingham area. Product availability may vary. Contact us for the most current availability on this product. Create the trendy dining space you've been wanting with this modern industrial collection. Each piece in this collection features a mixed media approach to furniture that is being seen on all of your favorite design TV networks and magazines. If you're in the market for a small scale, trend forward update for your dining room or kitchen, this collection is a must-see.